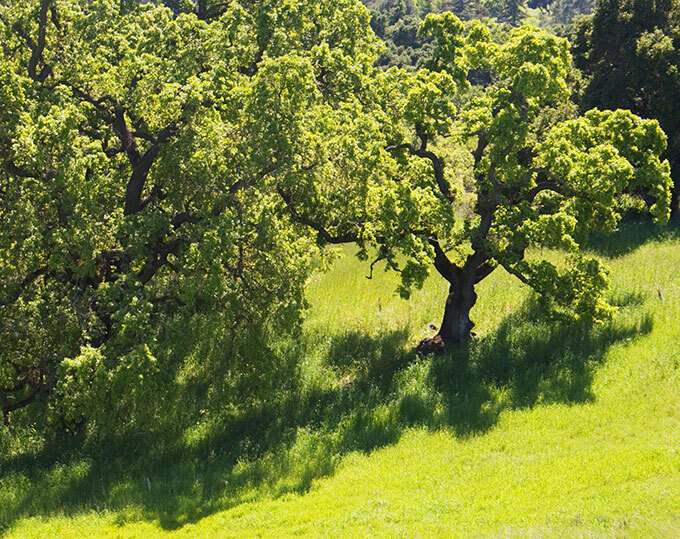 Visit Jack London State Historic Park and explore a diverse landscape filled with natural wonders and historical artifacts. A memorial to the famous writer and adventurer, this unique attraction features a number of wondrous fascinations, including a 2,000-year-old, 14-foot-wide redwood tree, the ruins of a 19th Century winery, an 80-acre orchard and the the cottage where Jack London wrote. It also provides an opportunity to peek into the past, amid a magical setting that seems like its own little world. Park Hours - 9:30 a.m. - 5:00 p.m.; Museum Hours - 10 a.m. - 5:00 p.m.; Cottage Hours - 12:00 p.m. - 4:00 p.m.
Are there hiking trails at Jack London State Historic Park? The park features 20 miles of trails, which wind their ways through grassy meadows, oak woodlands, redwood groves and lovely forests. The elevations vary from 600 to 2,300 feet and the trails are appropriate for both walking and bicycling. Can I book a tour of the park? Jack London State Historic Park offers private guided tours for adult groups and K-12 schools on weekdays. Adult tours are $50 and school group tours are $20. You must make reservations by calling 707-938-5216 at least 14 days in advance. You can also download a free audio tour app at www.jacklondonpark.com/jack-london-park-audio-tour.html.